Each finger has a special design that makes you unique! Isn’t this amazing that no two fingerprints are alike? 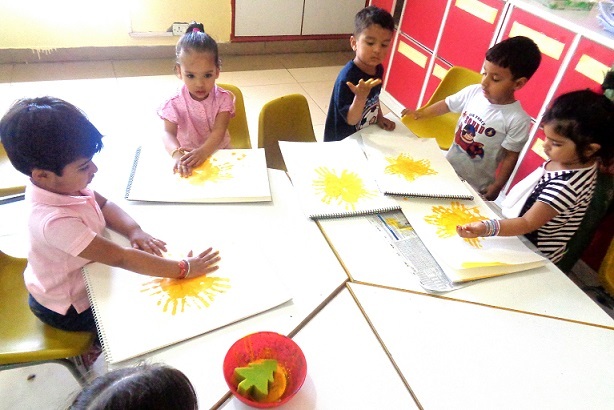 The activity for Grade Foundation of hand printing have them printing and exploring their own unique print. 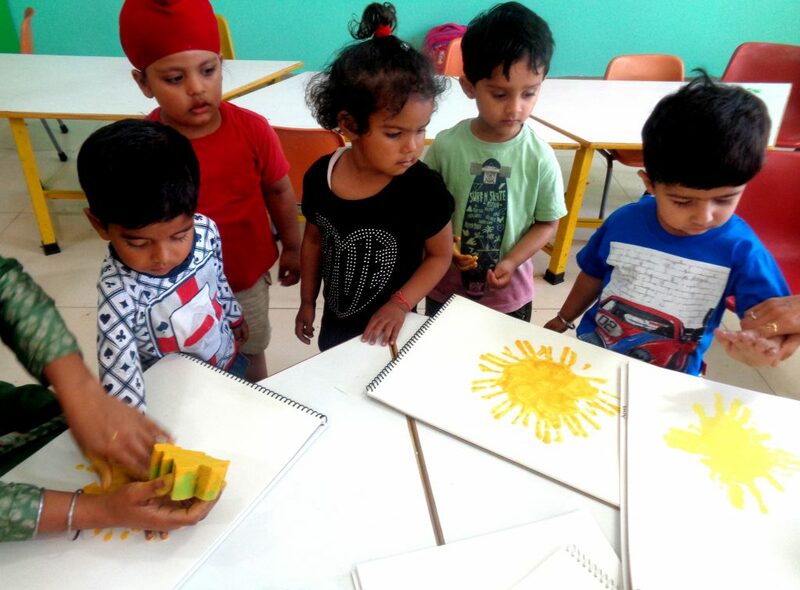 Grade Foundation understood the theme Summer and colour Yellow further by painting the Sun yellow and free hand coloring of Ice cream. 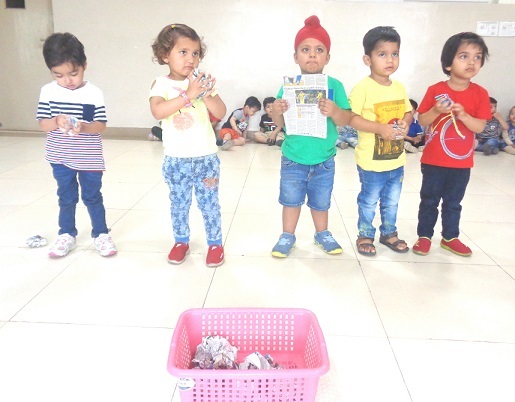 Students of Foundation had fun crushing newspaper followed by throwing it in a basket. 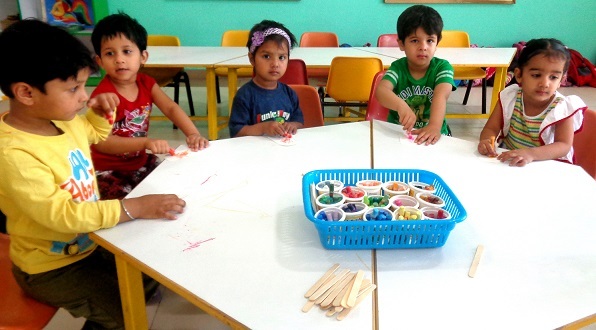 The activity also helped them develop their fine motor skills. The act of tearing encourages useful finger and co-ordination skills. 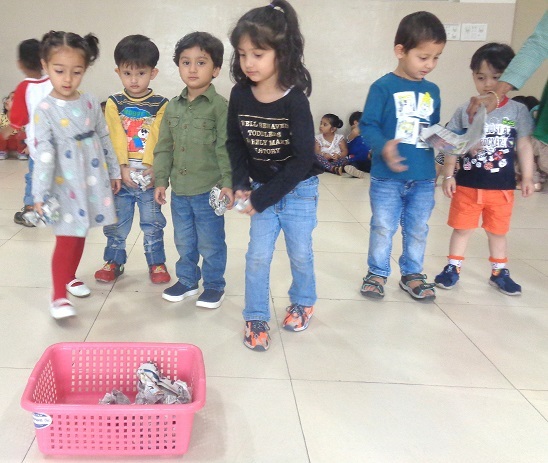 In order to tear paper, students of Foundation learnt how to hold the paper between the thumb and pointing finger of each hand. They then have to move each hand in a different direction. It was followed by pasting on a sheet. They had fun!